National Chairman of the All Progressives Grand Alliance, Victor Oye, has claimed that two lorry loads of sensitive materials for the Anambra governorship poll have been intercepted. 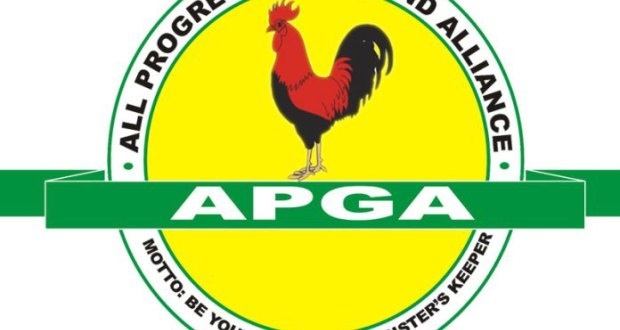 The All Progressives Grand Alliance (APGA) has alleged that security agents have intercepted two lorry loads of sensitive electoral materials meant for the November 18 governorship election. The allegation is coming just 12 days to the election. National Chairman of the party, Victor Oye, who briefed newsmen in Awka, said the materials, which included ballot papers and result sheets among others, were ceased at a hotel in Awka, the state capital on Monday. Although Oye could not name anybody or political party behind what he called a dastardly incident, he fingered the opposition in the state of being responsible for the importation of the materials into the state. Oye said, “this is to let the world know that we will not tolerate this situation. This election must be free and fair. This latest development has beaten our imagination that INEC is ready to conduct a credible poll. “The essence of this conference is to draw the attention of the general public, Nigerians and the world to the sad development in our nation’s socio political life. He restated confidence in the capability of President Muhammadu Buhari-led government to conduct a free, fair and credible election in the state, even as he frowned on what he described as irresponsible and ugly development. But in swift reaction, the Anambra State police command denied knowledge of the interception of any electoral materials in Awka, saying it was not true. The State Commissioner of Police, Umar Garba, denied the allegation, saying there was no such report to the command, as he warned members of the public to be mindful of their comments.